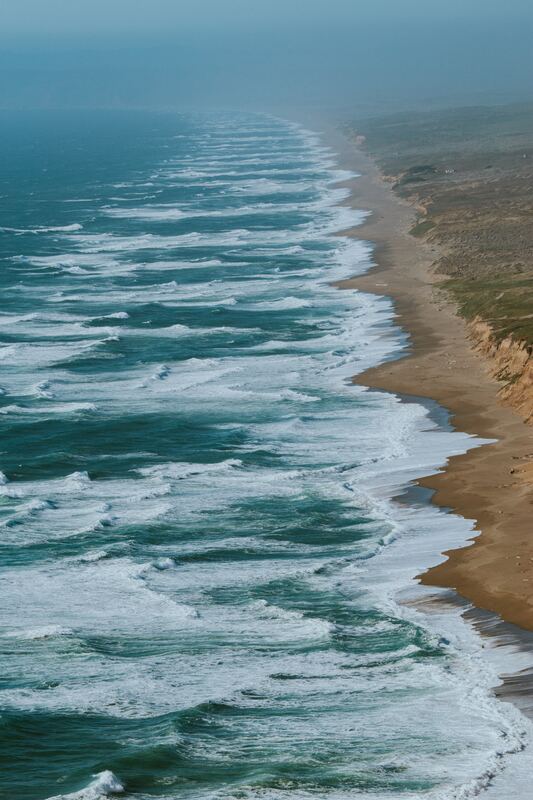 In 2014, nearly 75 percent of California’s population lived in coastal counties and along the State’s iconic 1,100 miles of mainland coastline and the San Francisco Bay’s additional 500-mile shoreline. 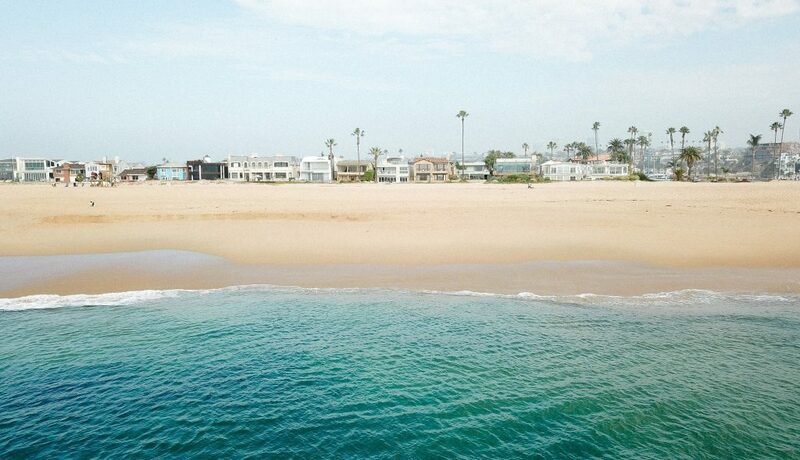 As the nation’s largest ocean economy valued at over $44 billion/ year, California has a significant portion of its economy concentrated on the coast, with a great majority of it connected to coastal recreation and tourism, ports and shipping. Many of the facilities and infrastructure that support this ocean economy, as well as the State’s many miles of public beaches, lie within a few feet of the present high tide line. Sea-level rise, a consequence of a warming global climate, poses an immediate and real threat to coastal ecosystems, livelihoods and economies, public access to the coast, recreation, and the well-being and safety of coastal communities. Combined with episodic and extreme events such as storm surges and high tides, sea-level rise and land subsidence directly affect Californians living in coastal and inland delta counties, increasing floods that disrupt services and infrastructure systems. But the threats of sea-level rise extend beyond just the immediate coastline. 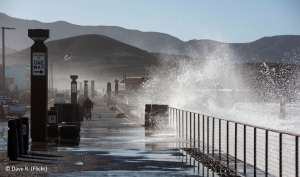 Communities across California are already facing damage to development, ecosystems, water supplies, and infrastructure, making a coordinated response and clear guidance on how to plan and prepare for rising sea levels a necessity. 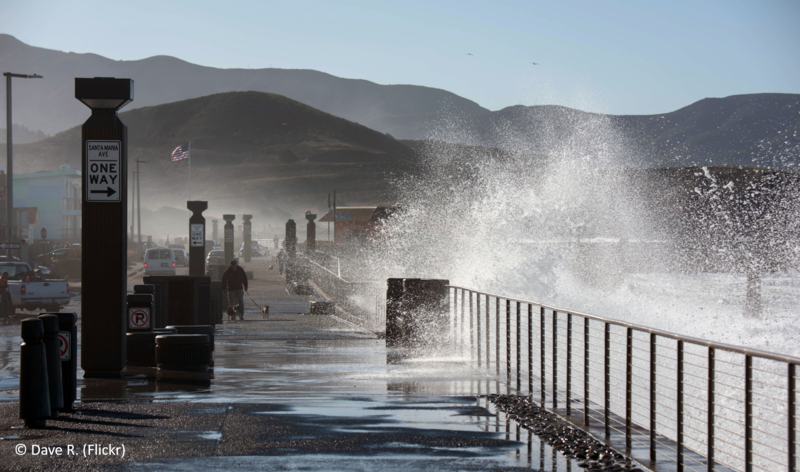 OPC’s Sea-Level Rise program seeks to build coastal resilience by working across scales and disciplines to ensure that California plans for, prepares for and successfully adapts to the impacts of sea-level rise, storms, and coastal flooding. ADVANCING SCIENCE OPC works to secure and leverage funding for research and monitoring related to climate impacts on the ocean and coast. By working with scientists, OPC can advance and translate latest research and science to better inform State planning and adaptation efforts. Catalyzed by direction from Governor Brown and the need to ensure that best available science is informing sea-level rise planning decisions in California, the California Ocean Protection Council partnered with the California Ocean Science Trust to convene an OPC Science Advisory Team Working Group on Sea-Level Rise. The working group was charged to synthesize the current state of sea-level rise science and projections, including advances in modeling and improved understanding of the processes that could drive extreme global sea-level rise. 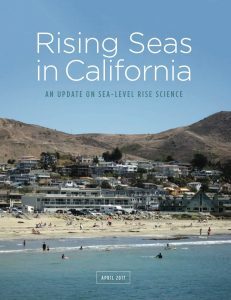 In April 2017, the working group released their final report, entitled “Rising Seas in California: An Update on Sea-Level Rise” which formed the scientific basis for the 2018 Update to the State’s Sea-Level Rise Guidance Document. DEVELOPING ADAPTATION STRATEGIES OPC is working to advance planning and adaptation decision support tools and resources to increase the resilience of coastal communities, infrastructure, development, and coastal resources to reduce hazards. SOUND POLICY GUIDANCE OPC is working to issue, strengthen, and disseminate guidance, guidelines, and policy to inform swift response. 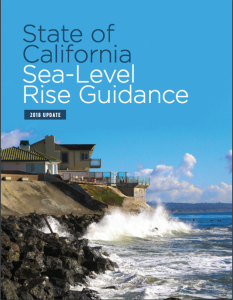 The State of California Sea-Level Rise Guidance Document, initially adopted in 2010 and since updated in 2013 and 2018, provides guidance to state agencies for incorporating sea-level rise projections into planning, permitting, investment and other decisions. After a comprehensive and inclusive update process, the California Ocean Protection Council and the California Natural Resources Agency, in collaboration with the Governor’s Office of Planning and Research, recently completed an update to this statewide guidance to reflect advances in ice loss science and projections of sea-level rise. The updated guidance focuses on the needs of state agencies and local governments. It will help cities and counties as they comply with a recent law, SB 379 (Jackson), that requires them to incorporate climate change into their planning efforts. The updated guidance document will also assist state agencies prepare for, and adapt to climate change, as directed by Governor Brown’s recent Executive Order B-30-15 (2015). The updated guidance was adopted by the Ocean Protection Council in March 2018. PARTNERSHIP ENGAGEMENT OPC strengthens existing and builds new partnerships, and works to provide pathways for meaningful community engagement. OPC leads the State Coastal Leadership Group on Sea-Level Rise, which includes executive directors and senior staff from six coastal and ocean state agencies: California Coastal Commission, Bay Conservation and Development Commission, State Coastal Conservancy, State Lands Commission, and California State Parks. The vision of the SCLG is to reduce risks from sea-level rise, storms, erosion and other coastal hazards, as individual agencies, collectively, and with the efforts of other partners so that California coast and San Francisco Bay continue to be one of the world’s most beautiful, accessible economically powerful, and ecologically and socially diverse regions. The Leadership Group works on increasing its collective capacity to address sea-level rise, implement the State’s Safeguarding Plan, coordinate on key actions and legislative briefings, and communicating how California state agencies are collectively addressing risk reduction for sea-level rise. Starting in 2013, The state of California released grant funding to support local governments in planning for sea-level rise and climate change, and completing or updating Local Coastal Programs (LCP) consistent with the California Coastal Act. The Ocean Protection Council (in partnership with the Coastal Commission and State Coastal Conservancy) supported Local Coastal Program updates, specifically to address sea-level rise, including sea-level rise modeling, vulnerability assessments, and adaptation planning and policy development. The Climate Readiness Institute at the University of California, Berkeley will develop new resources related to sea-level rise adaptation in California. This work will support the Natural Resources Agency and the Ocean Protection Council’s (OPC) implementation of AB 2516, “Planning for Sea Level Rise Database.” The work by UC Berkeley will advance OPC’s initiatives on this topic by providing more comprehensive knowledge on the progress, status, and barriers for sea level rise planning in sub-regions as well as at the state level. 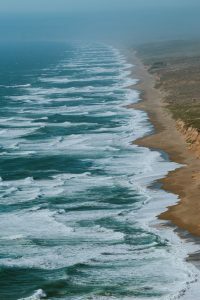 The Ocean Protection Council is supporting CosMoS, which makes detailed predictions of coastal inundation, storm-induced coastal flooding, erosion, and cliff failures over large geographic scales and can be used for to analyze future climate scenarios (sea level rise and storms). The State Coastal Conservancy is leveraging the OPC’s investment in CoSMoS by supporting outreach workshops for local communities through the USC Sea Grant program.